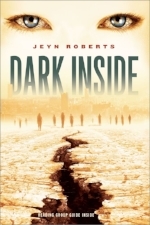 Jeyn Roberts is the author of THE DARK INSIDE and RAGE WITHIN. She had her first story published when she was 16 in a middle-grade anthology called LET ME TELL YOU. After college, she moved to Vancouver with dreams of being a rock star. For the next few years she played in an alternative/punk band called Missing Mile before moving to England where she received her MA from the prestigious Creative Writing graduate course at Bath Spa University.